Most of you have already seen for yourselves that customers are willing to comment about experiences with your brand, especially online. This is a relatively new phenomenon that has changed the tools of marketing. Until recently, the emphasis of franchise consumer marketing had been on messaging to customers: positioning, announcing, teaching, persuading, and calling for action. Marketers spent hours polishing the right messages. The implicit role of marketing communications was: you talk, they listen. If marketers are good communicators, customers will buy. But that paradigm is broken. The old "read-only" model of marketing communications is being replaced with the "read-write" model. When today's web-connected customers dialogue with you, or when they comment about your brand to others, they transcribe their own comments. The spread of smartphones makes it easier than ever for customers to share their feedback and observations through the web. This shift to read-write creates a new opportunity and a new problem: How do you make sense of this unprecedented deluge of customer comments? Written customer comments can be a rich source of information about an experience with a brand, but many customer comments on Twitter hardly qualify as "rich" data. There's not much to learn from "On my way to Starbucks" or "Just dropped the kids off at Primrose School." Other than helping us count the number of brand mentions on social media, these comments provide little actionable insight. However, it is possible to determine the sentiment -- positive or negative -- from customer comments. For individual comments, it's easy. For example, "The people here are so friendly" or "The mechanic was rude" are clear examples of differing sentiment. For large volumes of comments, leading franchisors are using social media monitoring to track the number of positive versus negative brand mentions in social media, and using this ratio as an additional metric in measuring brand health. For fast-growing franchisor Capriotti's Sandwich Shop, the best opportunity to solicit insightful feedback directly from the voice of the customer is through a well-designed customer questionnaire. Capriotti's was founded in Wilmington, Del. Their first innovation was simple and powerful: Capriotti's roasted whole turkeys overnight to make their sandwiches. Ashley Morris and Jason Smylie were college students when they fell in love with the concept and found themselves saying, "This is the greatest sandwich I've ever tasted!" Today, Morris is CEO and Smylie is EVP and CMO, and Capriotti's has grown to 71 restaurants. Their latest innovation at Capriotti's is applying text analytics to mine customer comments. They analyze this very brand-specific customer intelligence to gain new consumer insights to win and keep more customers. "Monitoring text-based customer comments has helped Capriotti's solidify our philosophy of not discounting our delicious, high-quality sandwiches," says Morris. Text analytics has helped guide Capriotti's marketing platform, too. "In a tough economy it can be so tempting for a marketer to erode a brand by discounting to desperately attract customers," says Smylie. "Analyzing price-related customer comments along with overall satisfaction trends has helped us determine that our customers are still willing to spend an extra buck or two for a sandwich that is going to taste better than they can get elsewhere." Text analysis can improve your organization's competitiveness by focusing on three areas: 1) receiving real-time alerts when certain events occur, 2) trending of customer perceptions in categories that matter most, and 3) gaining new insights to improve performance. First, text analytics allows you to create real-time alerts based on your customers' comments that are directed to people throughout your organization. Text analytics solutions can identify a number of factors -- including potential legal issues, new product mentions, and other customer themes -- and these insights can be immediately sent to the appropriate person. This allows you to close the loop with customers and be proactive in providing service recovery. With the right industry-specific word libraries and settings, you can identify trends in customer comments and track the sentiment of customer comments over time. You'll quickly know which of your efforts to continue and which aren't working. Franchisors use these findings to better understand emerging trends in the marketplace and improvement opportunities. Text analytics can help you proactively identify customer experience strengths and opportunities -- at an actionable level -- without having to add questions to the survey. In the case of Capriotti's, franchise business managers have been using text analytics data to provide feedback to franchisees. 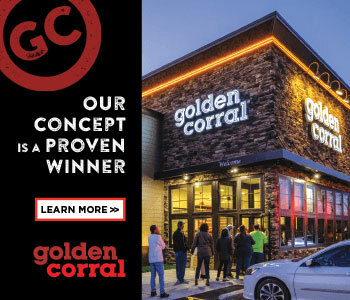 The location-specific data allows the franchisees to understand what their customers are saying about the customer experience in each restaurant. More franchise firms are aggregating and analyzing customer comments using text analytics, but it's not often done well. Gaining consumer insights with text analytics is still an emerging discipline. The challenge is to get customers to provide more useful information and be more specific. If you are looking for ways to enrich the insights customer comments provide and generate more actionable data with every question you ask, request a copy of SMG's white paper, Want Better Insights from Text Analytics? Start by Eliciting Better Comments. In this white paper, SMG's research team shares three secrets to improving customer feedback gained though verbatim comments. Email me at insight@smg.com to receive the white paper. SMG Vice President Jack Mackey helps franchisors and franchisees improve customer loyalty and drive growth. Contact him at 816-448-4556 or jmackey@smg.com.